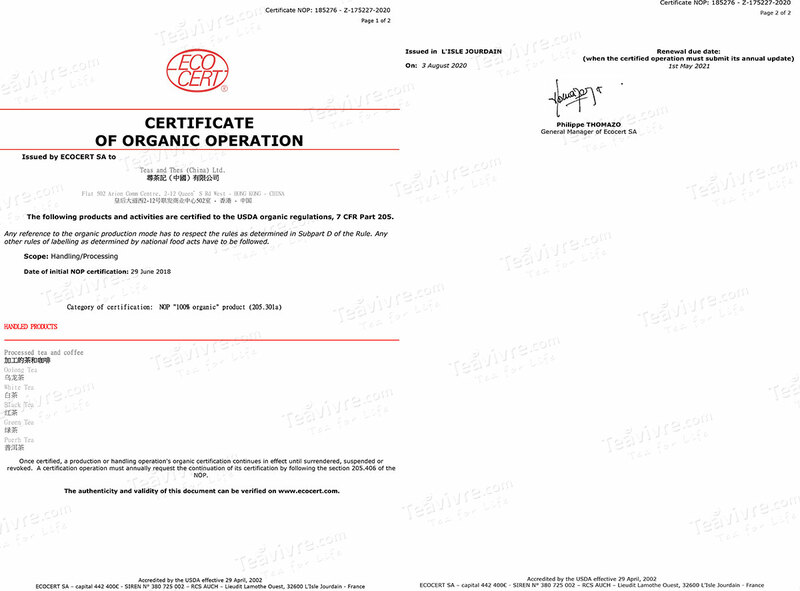 Clean and bright, light yellowish green color. lasting fragrance and flavour of Houkui Tea lingers at throat and back of tongue. Traditionally handmade Houkui Tea is characteristic in its charming appearance when brewing by glass tea cup: the buds and leaves spreading as flower, suspending straight and dancing in the clear liquor. Tai Ping Hou Kui green tea, originating in 1900, is known as one of China’s top ten most renowned teas. It is sourced along the Huangshan Mountain at elevations above 1200 meters, the same as our Nonpareil Te Gong Huang Shan Mao Feng. 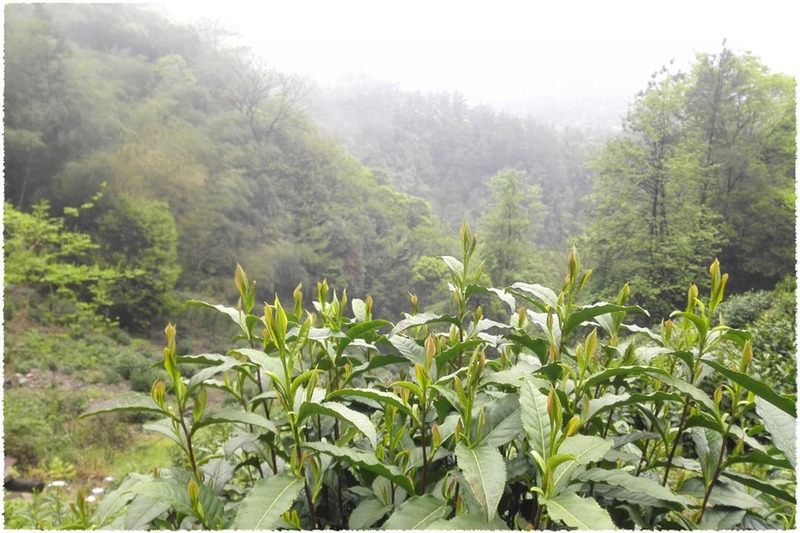 The area where this tea is planted, Hou Keng, has a steadily cloudy climate and suitable sunshine that results in an excellent environment for both the trees themselves as well as the traditional manual production method, which gives this tea a unique appearance and flavor. This kind of Nonpareil, or Tea King Tai Ping Hou Kui, is a purely hand-made green. 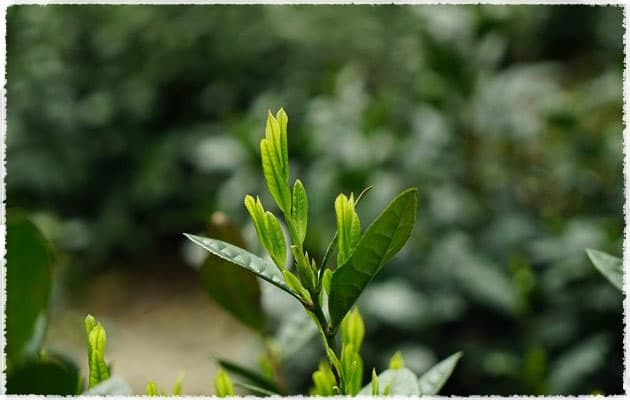 The ‘Tea King’ in its name means that it is the highest quality and highest grade of other Tai Ping Hou Kui types, which itself is already one of the highest grades as one of Chinese top ten green teas. This tea has a brisk, smooth flavor that leaves a cool, lingering aftertaste in the mouth, sweet and mellow with a fragrance that lingers on your breath. It is made from two leaves and one bud; its unique flavor is inseparable from its method of crafting, resulting in its characteristic flattened appearance. Early in 1915, Tai Ping Hou Kui tea won the golden award in the Panama Pacific International Exposition. In 1955, Tai Ping Hou Kui was hailed as one of China's ten most famous teas. This tea has flat, straight leaves, noticeably deep green in color, and is composed of two leaves with one bud pressed between. These thick leave provide a gentle flavor with a vaguely orchid fragrance; the liquid is smooth and sweet with a long-lasting aftertaste. The traditional method of production for this tea follows five steps: picking, extraction, spreading, fixation, and drying. Picking is when the leaves are first picked, under an extremely strict standard down to the time of day when the picking occurs. The tea workers go up the mountain into the gardens in early morning as the mist begins to rise. Extraction involves separating the tea-making leaves from those that are deemed unsuitable for a variety of reasons. Those that are chosen must follow a standard of having either one bud and two leaves, or one bud and three leaves. Spreading is when the leaves are set out in large baskets and allowed to wither for four to six hours. Tai Ping Hou Kui’s unique appearance is mainly due to its production processes of fixation and roasting: the end appearance of tea leaves depends on the method of fixation. For this type of tea, 50-100g of leaves are stirred in a large pan at 120°C until they become hot and start to give off their fragrance. When this happens, the leaves are removed from the pan and brought into the next step, where they are settled into roasting baskets and pressed by hand while being roasted. This step repeats four times until the leaves become dry and brittle, and by this point, they will have become characteristically flat, often with the texture of the baskets pressed into them. On some of the leaves you might notice a reddish line. This is also due to the method of production, during which some of the chemicals inside the tea will remain intact within the thicker leaves and lower pressure of hand-making, and then will oxidize and cause the veins along the leaves to take on a slightly reddish tint. Houkeng Tea Garden, with elevation around 800 metres, locates in Houkeng village in Xinming county. The ecologic environment here made it a perfect place to produce tea, with the average climate of 14-15℃ and forest coverage rate of 95%. This tea is located in the Hou Keng area, in Xinming Village of Huangshan City, Anhui Province, in the northwestern region of Huangshan District. 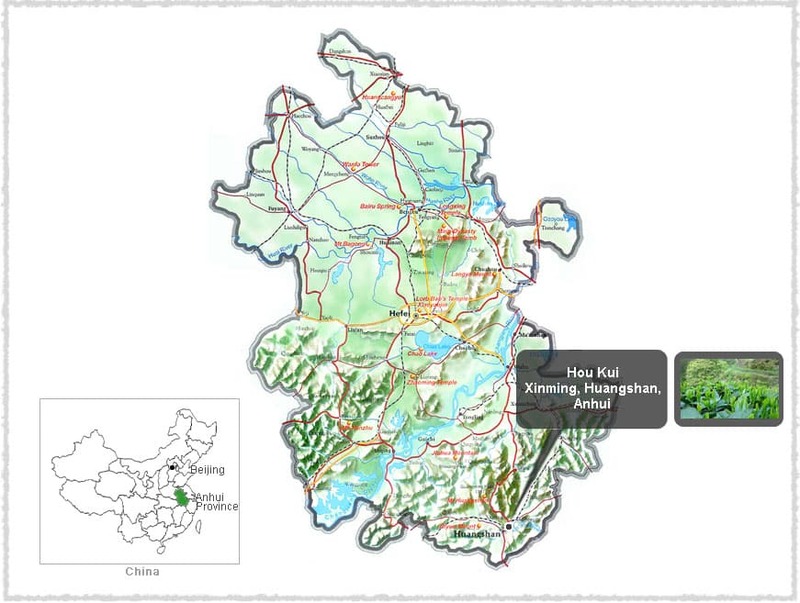 Hou Keng is the central area of production of Tai Ping Hou Kui, covering over 11,000 hectares of forest and 533 hectares of tea gardens by the end of 2008. Tai Ping Hou Kui is made from a tea tree called Shidacha, or Shiyecha. It belongs to the seedling family, is a bush-type of tree, and is a large-leaf species. 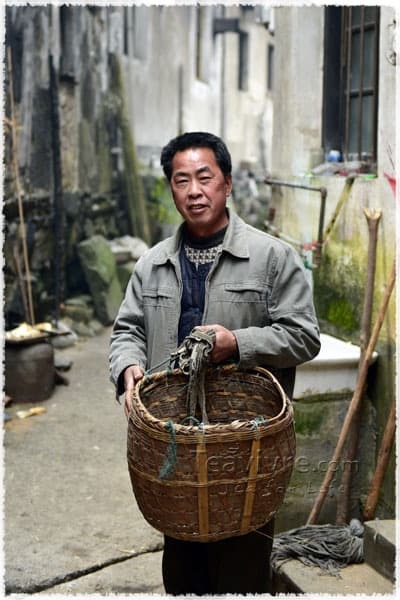 The tree originated in Xinming Village of Huangshan City, Anhui province. The “one bud, three leaves” shape most often sprouts near the end of April in medium abundance: the spring leaves contain 3.6% amino acids, 23.8% polyphenol, 13.6% catechinic acid, and 4% caffeine. Leaves from this type of tree are usually made into green tea.